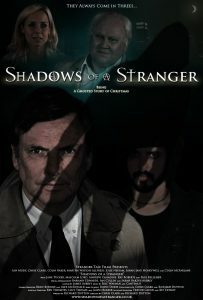 It is a monumental day in Shadowsland as today, exactly 8 years on from when pre-production properly began on the film (read about that day on writer Richard Dutton’s website), Shadows of a Stranger has officially now been released for the first time. The film can be viewed through Amazon Video which is available in four different territories: the UK, the USA, Germany / Austria, and Japan. Viewers have the option to buy a digital copy of the film, rent it, or Amazon Prime customers can view the film for free. Already on Amazon.com we have had a review of 5 stars, so we hope that this is a sign that the film is finding its audience at long last. We look forward to hearing more reflections on our film so please do let us know what you think to it! ← Welcome to the new Shadows website!